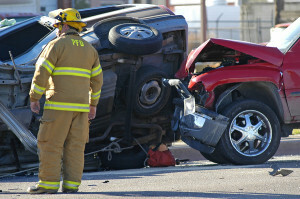 Do I Need a Personal Injury Attorney If I Have Minor Injuries? After a traffic collision, a fall, or any other type of accident, most victims wonder whether should discuss their case with an attorney. Unfortunately, if their injuries do not seem to be serious, many accident victims fail to consult with a California accident attorney because they assume their injuries are not worth a legal case. In many situations, this is a mistake, however, and victims lose out on valuable compensation for their losses. Even though filing a lawsuit may not be necessary for many victims with relatively minor injuries, that does not mean an attorney cannot be of important assistance. In such cases, the responsible party’s insurance company will likely make an offer for a lump sum settlement to reimburse you for your medical expenses and other related financial costs of your injury. However, insurance companies are businesses and they strive to avoid liability whenever possible. This means that they often offer less than a victim deserves to see if they will accept the offer. For this reason, you should never accept an insurance settlement without having an experienced California personal injury lawyer review the offer first. An attorney will evaluate your losses and advise you on whether the offer is appropriate for your injuries and expenses. If it is not, they can communicate with the insurance company to help you obtain the offer you deserve. After an accident, you may believe that you are simply sore and do not have serious injuries. However, the signs and symptoms of injuries such as whiplash,1 sprains and strains,2 and other neck and back injuries may not be immediately apparent and may arise over the days following the accident. Additionally, complications from these injuries may arise over time, increasing the losses you face for medical expenses and lost income. It is always important to undergo a medical evaluation after an accident even if you believe you are not injured to diagnose any possible conditions. Additionally, even if your injuries are minor, you should never hesitate to schedule a free consultation with an experienced California accident lawyer as soon as possible.